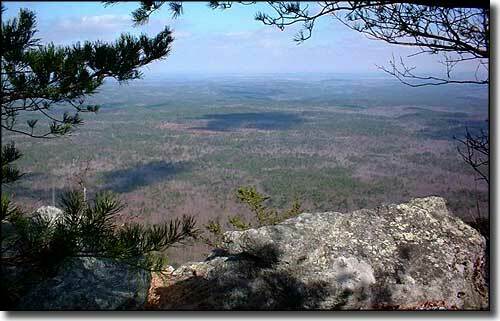 The highest natural point in the State of Alabama, Cheaha Mountain, lies within the bounds of Cleburne County. Cleburne County was created by the legislature December 6, 1866, from the territory of Benton (now Calhoun), Randolph and Talladega Counties. 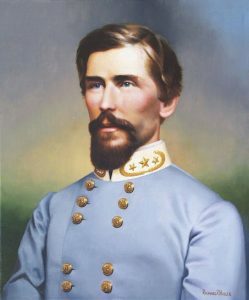 Cleburne was given the name of the distinguished Confederate Maj.-Gen. Patrick Ronayne Cleburne, of Arkansas, who was killed at the Battle of Franklin, November 20, 1864. He was considered the “Stonewall Jackson of the West.” The name was suggested by Jere Smith of Oxford. In the act of establishment, J. R. Northcut, Sydney M. Carruth, J. W. Wigginton, A. W. Denman and Joel H. Cooper were appointed commissioners to organize the county, but as Cooper lived just over the line in Randolph County, he did not participate. 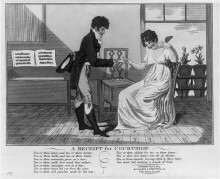 The others proceeded with the work, with Northcutt as chairman. 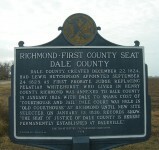 They ordered an election to be held in July 1867, for locating the county seat, and for electing county officers. Edwardsville, Story near Pine Grove Church, and Salem were in the contest, but Edwardsville received the highest number of votes and was declared selected. 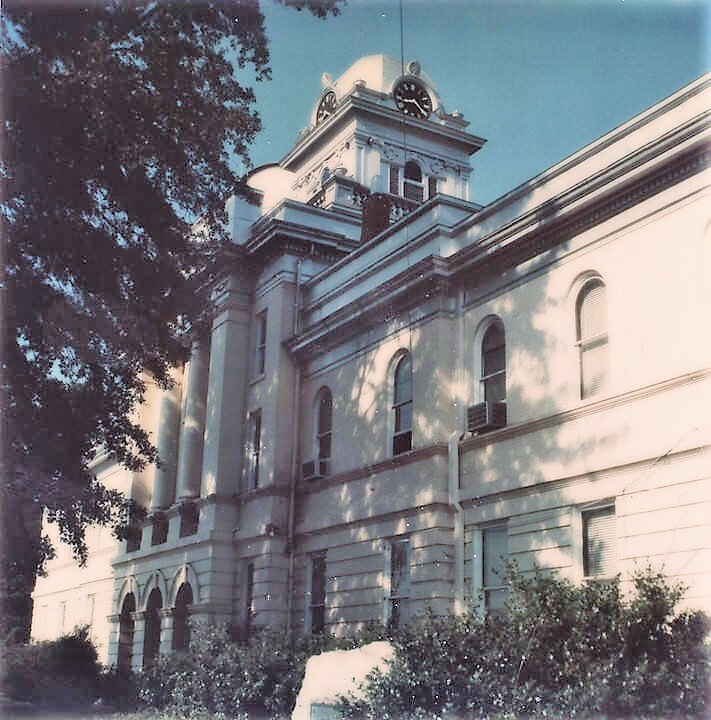 The officers elected were: A. D. Chandler, of Muscadine, judge of probate; Joseph H. Hooper, sheriff; P. H. Groover, clerk of the circuit court; and W. H. Brown, Allen Jenkins, Merrill Collier and John Brock, county commissioners. The county organized, the commissioners then turned the affairs of the county over to the newly elected officers. The first session of the county court appears to have been held on April 15 when an allowance for seven days’ service each was made to the commissioners for organizing the county. At this term, Irvin Owen was appointed county commissioner to take deeds to land donated to the county by J. D. Thompson, William Edwards, and Thompson Burgess. William Bell was appointed county surveyor, who, with the assistance of James Bell located the public square, and laid off into town lots the lands that had been donated. The court appointed James Baber county treasurer, but on his declining to qualify, W. R. Hunnicutt was named. James M. Wiggins was appointed the county superintendent of education, and his salary fixed by the court at $250 per annum. Hugh Montgomery was appointed county attorney, and Robert J. Martin, coroner. The court also took the necessary steps for the erection of the public buildings. 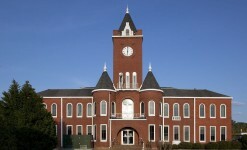 A courthouse was built in 1887 on land that was given by William Edwards. 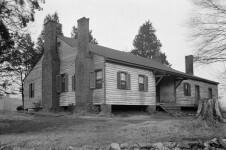 The Edwards family were early pioneers from North Carolina. In 1906 an election was held under the general law of 1903. governing changes of county seats and Heflin was selected because of the nearby railroad. The validity of the law and the right to act under it were attacked in the case of State ex rel. Brown & Porter, 145 Ala., p. 541, but without success. Heflin remains the county seat today. The county territory lies within the old Creek country and was not ceded until 1832. 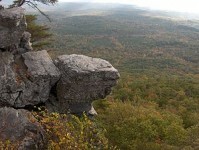 Along its numerous streams were doubtless small Indian villages and hunting camps, but details have not been preserved. No mounds are reported. 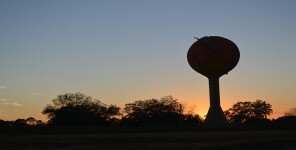 Several of its towns bear Indian names, as Arbacoochee, Chulafinnee, and Okfuski. all along the upper Tallapoosa. Gold was discovered in the county around 1830 on the Native American land which finally caused their removal in the 1830s. 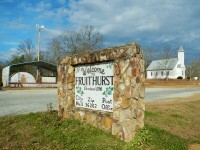 Cleburne County lies in the northeastern section of the state, and on the east borders the state of Georgia. It is bounded on the north by Cherokee County, on the east by the Georgia line, on the south by Clay and Randolph, and on the west by Calhoun and Talladega counties. Its western boundary is very irregular. From north to south it extends about 32 miles, while east and west it varies from 7-1-2 miles on the north to 34 miles on the southern boundary, the average width is about 22 miles. The county lies within three main physiographic belts, the Appalachian Mountain, covering the western part, the Piedmont Plateau to the east and southeast covering the southeastern section, and the Tallapoosa River bottom, entering the state along the Georgia line, and extending to the southwest to a point about 4 miles south of Heflin. The Tallapoosa River flows along the break between the Appalachians and the Piedmont. 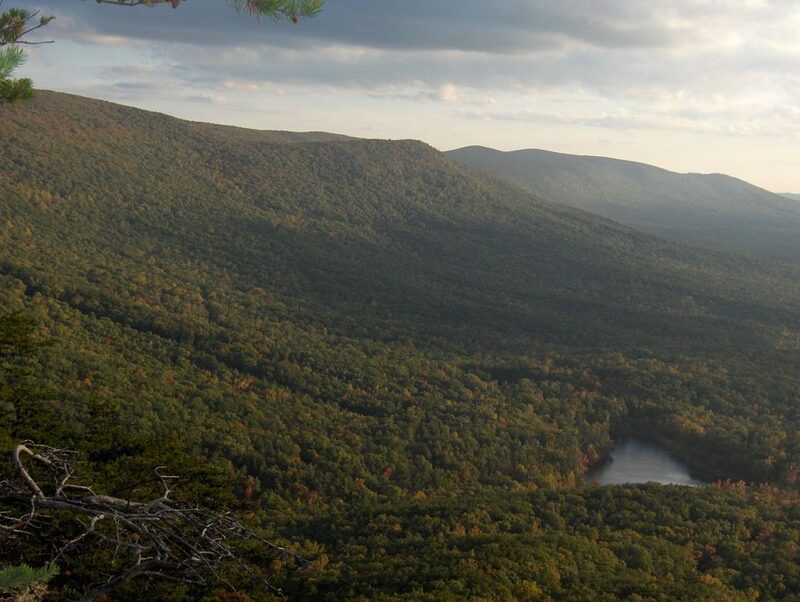 The Appalachian Mountain belt is a deeply eroded plateau. 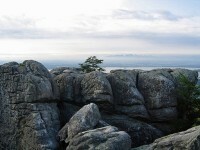 Its elevations vary from 1000 to more than 2200 feet above sea level in the more mountainous parts along the west and northern portions of the county. The Tallapoosa River and its tributaries form the principal drainage system of the county. However, the northern part is drained to the west by Terrapin and Little Terrapin creeks, and their tributaries into the Coosa River and the extreme southeastern corner is drained by the Little Tallapoosa. It is not possible to give the dates of the various settlements made in the county, nor the given names of the settlers. The red lands south of Arbacoochee were settled by the Armstrongs, the Howie, the Blake, the Morris and other families. 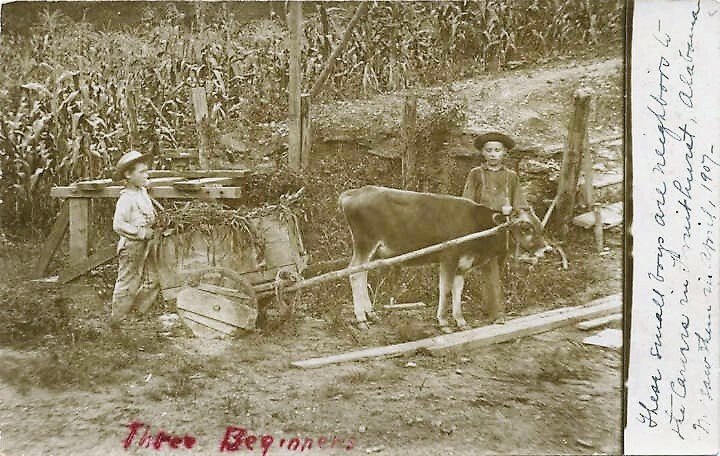 The early settlers of Arbecoochee were the McKees, Goodens, Creamers, Criders, Dothards, Densons, Hiltons, Beasons, Diamonds, Brewers, Hedricks, Prices, and Jere Smith. Some of the early settlers of Chulaflnnee were T. J. Rusk, B. Higginbotham, the Canadas, Leverts, Ligons, Campbells. Millers, Swopes, Caldwells and Strlplins. Dr. Ligon and Rev. Mr. Beverly were among the early residents of Oakfuskee. In the vicinity of Terrapin Creek located the Bordens, Alexanders, Wheelers, Treadaways. 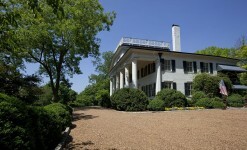 Hatfields and Beasleys; at Oak Level, Joseph L. Roberts, the Howells, Grays, Steeds, Parkers, Coles and Pitchfords; North of Muscadine, William R. Brown, Bentleys, Hunnicutts, Scotts. Barnes. 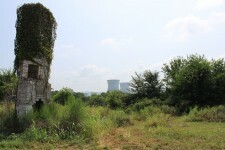 Bomans, Barnetts, and Killgores; at old “Fair Play,” one mile north of F.dwardsville. were Stephen Edwards, Lemuel, Joseph and T. M. Burgess, the Owens, Claytons, Babers. 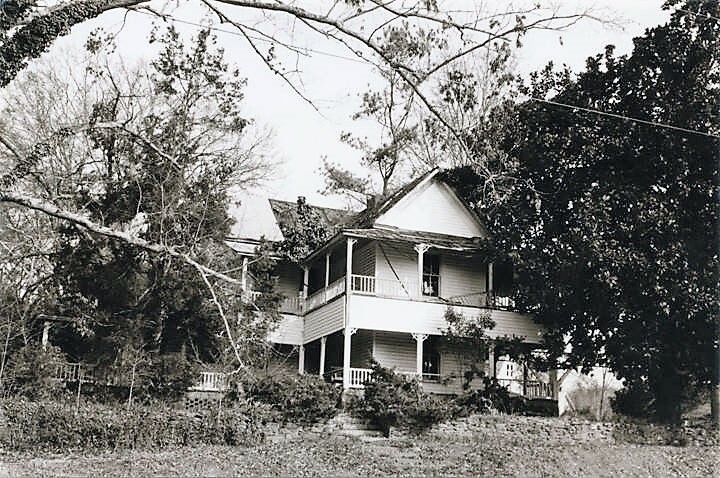 Barkers, Browns, Wades, Bennetts, Harpers and Henrys; and among those at Sugar Hill, just south of Heflin, were the Evans, Brocks. Ross, Bedwells, Carruth. Mohorn, Hollingsworth, Stricklen and Tolleson families. 1909 (Spec.) D. M. White. Grandfather, great grandparents, great great grandparents all were born or lived here. Some are buried at Old Liberty Cemetery, Ai, etc. all that remains of where they lived is forest now. It also was a notorious speed trap back in the 60’s and 70’s. My grandfather was born there. The removal of The Native Americans from the region, after the discovery of gold deposits, wasn’t addressed in length, was it? Could it be a case of conscience? I think not……..
My Grandfather and his older brother were located there in the late 1800 around a town called Arbacoochee…a former gold mining town that went belly up when the gold was gone. They taught shaped note music to people within the area and called the song book “The Sacred Harp” (Published 1936 – first edition – most recent edition 1991) with songs that are still being sung at singings today across America, England and even into Europe, Japan. 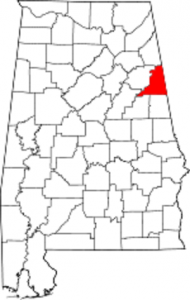 it is particularly strong in the area of Alabama comprised of the counties of West Jefferson, Walker, Winston, Cullman, and Fayette which were closed to Jasper/Manchester/Arley areas in Alabama where the Denson Brothers had settled around late 20’s forward. They are still being sung there today and the National Sacred Harp Convention is held in Birmingham, AL for the 3 days before Father’s Day every June. My father’s family was from Cleburne County. 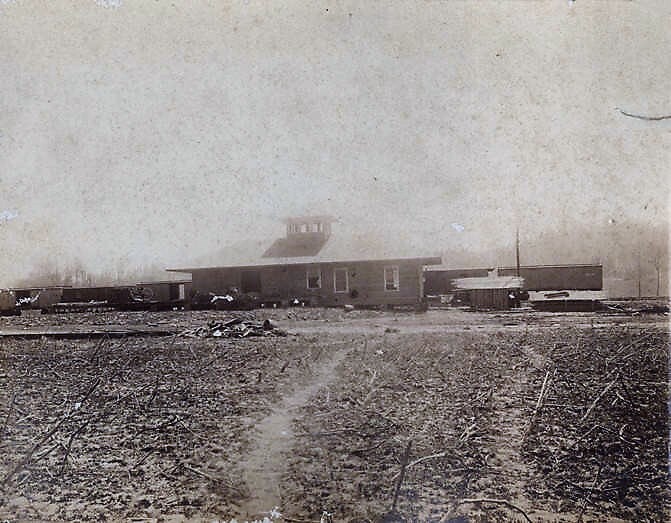 Then moved to Winston County due to the rocky soil. Love the Fa-so-la singing (sacred harp) I heard in churches in Blount and Marshall Counties in rural Alabama of my childhood. Still can be heard today. I have this exact same photo but my wife is sitting on the rock, lol. I’m sure it made it even prettier. A long time favorite place for my family.